Why dont we feel the moment when we fall in love but always remember when it ends? Akash is young, single, and conservative with a preference for girls with brains than in miniskirts. One day, he runs into free-spirited Aleesha at a local discotheque. A Mass Media student, Aleesha is a pampered brat, the only child of her parents who dote on her. This brief meeting leads them to exchange their BlackBerry pins and they begin chatting regularly. As BlackBerry plays cupid, they fall in love. When they hit a rough patch in their life, Aditya, Akashs close pal, guides them through it. But just when they are about to take their relationship to the next level, a sudden misfortune strikes. Can Aditya bring Akashs derailed life back on track? 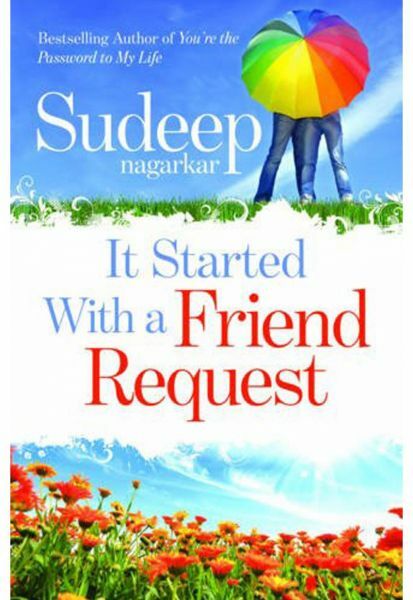 It Started with a Friend Request is a true story which will make you believe in love like you never knew before.